It's that time of year again - time to organize your tax paperwork. Ugh. As if we don't already have enough to do. In theory, this should be really easy because you should have been keeping track of those papers all year round. Everything should be in a nice neat binder ready for you to input into your tax software, like H&R Block or hand over to your accountant. Well, if you got a little behind over the past year, you are not alone. But no worries - all is not lost. 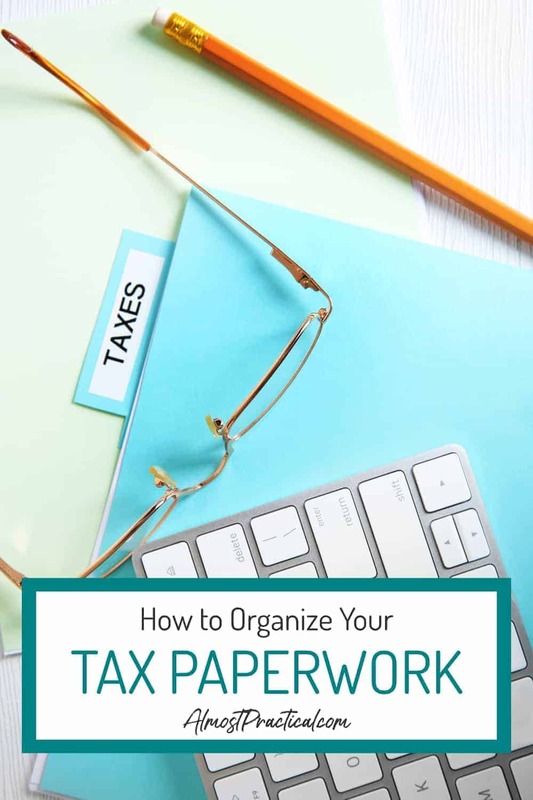 Let's take a look at how we can organize that tax paperwork quickly. Now remember, I am not a tax expert and I cannot give you tax advice for your particular tax situation - so if you have questions, it is best to hire an accountant. What I can do is give you some ideas on how to corral the paperwork that surrounds tax time. The first thing I do is download a copy of the current 1040 IRS tax form from the IRS website: https://www.irs.gov/forms-pubs/about-form-1040 - it's especially important because the form can change from year to year. Even if you use an accountant or tax software, it is a good idea to try to understand how taxes work. When it comes to financial things, the more you understand the better it is so you can make informed decisions. The basic premise of income taxes is this, you pay tax on all of your income minus your allowable deductions. You use the applicable tax forms to basically show the IRS everything that you make and what you are deducting - as well as to calculate the tax on your taxable income. You add up all the income taxes that you had withheld from your paycheck and any estimated tax payments that you made throughout the year. If the tax that you calculated on your tax return is larger than the amount that you paid throughout the year, then you owe money with your return. If it is less, then you get a refund. Throughout January, you should have received tax documents in the mail. These came from sources like your banks, your employer, people or companies you do business with, and multiple other sources. Every year, I typically create a file folder and label it with "Income Taxes: 20xx" (for the current year). As all of these tax documents come in my mailbox, I put them into this file folder. Even if I don't have time to deal with the documents when they arrive, I still put the envelopes into this folder along with receipts for charitable contributions and anything else that is tax related. If you don't already have a folder like this, I suggest that you create one. Go through your piles of papers and pull out anything that is tax related and put them in this folder. Now that you have collected all of your tax documents in one place, it is time to start processing that folder. A good way to do this is to create a few different piles. Throughout the year you probably made money from a few different sources. If you were employed then your employer would have sent you a W-2 form. Interest, dividends, and capital gains will be reported to you on various types of forms 1099. Work that you did as an independent contractor or small businessperson may also come to you on a form 1099. Put all of these into your income pile. Now that all of these are separated out, you may want to make an Income Folder or create a Tax Binder and put these behind an income tab. DO YOU HAVE ALL OF YOUR TAX DOCUMENTS? One thing you want to do is make sure you have all of the documents that you are supposed to have. These days, some banks and organization put your documents online instead of sending you a paper statement in the mail. So, it is up to you to go and download or print these documents out. If you received income from any source but do not have a tax document for it - you might need to follow up and see what is going on with that. Now, you will do the same thing with documents related to your deductions. You will have received forms from your banks with your home mortgage interest. You may have receipts for charitable contributions. Include any notes and calculations that you make about your deductions. Again, you may want to make a separate folder for your deductions or create a tab in your tax binder. If you own a small business, you will also have financial records related to this. At the end of the year, once your books are finalized, it is a good idea to print out your year end reports and place these in your tax file as well. You can also keep receipts, mileage calculations, and any other supporting documents in this section of your tax file as well. If you made estimated tax payments throughout the year, collect the paperwork related to these and put them in a tax payments folder or section in your tax binder. Now is a great time to set up your tax folder for the current year. As the year progresses, you can collect any tax related receipts and documents in one place. 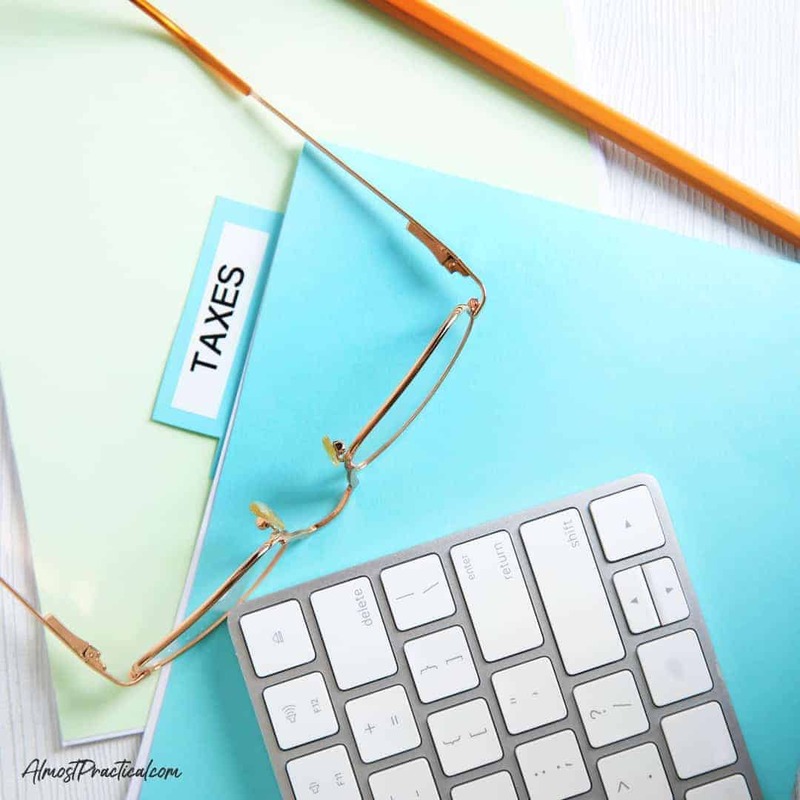 Now that you have organized all of your tax paperwork, you are are ready to either prepare your own taxes using a program like H&R Block or work with an accountant to get the job done. Remember, this article is designed to help you organize your paperwork and is not intended to provide any tax advice. Always consult with your accountant for professional advice.